He woke some time in the night to the sound of thunder and rain as it poured down on the thatch roofing and sprayed the stone walls of the house. He discovered he was naked beneath the wool blankets. The cot he lay on was stiff, the mattress thinly stuffed with straw. Alarmed, he worried the girl robbed him and left him in some abandoned farmhouse. He sat up and immediately regretted it. The pain in his left arm was excruciating and he lay back down. It was bandaged and a makeshift sling held it across his chest. The bandage was fresh linen and smelled of herbs. When he peeked beneath the bandages he saw that his wounds had been cleaned and even sewn shut. No thief would tend me so, he realized and lay back down. When lightning crashed and lit up the room, he realized he had not been moved very far from where he’d passed out. His mail hung on the spade handle and his tunic – the sigil of his house sewn on the left breast — was tossed across a bag of feed. The rest of his clothes were nowhere to be seen. Briefly he considered escaping into the night and finding his way back to the road, but another loud crack of thunder and downpour of rain put an end to it. Paul decided he’d never go out naked anyway, and so he closed his eyes and returned to sleep. Only once more did he wake up in the night and only partially. He thought he saw the girl — Tani, was it? — sitting in a chair next to him, but he had fallen back into slumber too quickly. The memory seemed more a dream than reality and when he finally woke, he hardly remembered at all. The storm was gone and sunshine flooded in through the window at the far end of the room. It was a feed room, he discovered, though a poorly stocked one. It was almost bare. His cot was nothing more than a woolen blanket thrown over a bed of hay. By the time he could sit up, the girl came in with a wood bowl and spoon. She placed it on a chair that she dragged over and left it by his side. Paul blanched. “Chores? I don’t do chores girl. Do your own bloody work, I’m injured!” He felt suddenly sorry for saying that. Her lips clenched together and she upended the bowl of porridge onto the chair. “Fine, then get your own bloody food.” She turned and left then, slamming the door to the main house shut behind her. Paul sighed and looked at the seat where the remains of his breakfast was quickly sliding off the edges of the chair and onto the dirt floor. His stomach twisted into a hungry knot and he quickly glanced to the door before he took his spoon and scooped what he could right off the seat. The act made him feel pathetic but he consoled himself that getting strong and getting out of here was more important than pride. As he was shoving the last bit of salvageable porridge into his mouth, the girl came back with an armful of clothes. He wiped his mouth and gently placed the spoon on the seat. She paused there in the door, staring at it before she looked down at the floor. “Your clothes were soiled, I had to burn them this morning. These were my da’s. He wasn’t much bigger than you, I think.” She came near to the foot of his make-shift bed and placed them on a feedbag. Paul pushed himself up onto an elbow and stared at her. He opened his mouth but found he had nothing to say and closed it again. “M’lord should rest,” the girl said. Her eyes met his for a brief moment and he caught anger in them. He sighed and opened his mouth to say something but the words died in his throat. I am not much one for talking to commoners. Leave that to the men capable of it. All Paul could do was nod. The pain in his arm and shoulder surged then and he groaned, laying his head back down. When he thought to look for her, the girl was gone. For the rest of the day Paul slipped in and out of sleep. His pain came in unending waves that made sitting up difficult. Occasionally Tani — her name, he learned, was short for Tanielle — brought in something small for him to eat and changed his dressings. She applied new herbs to the wounds, a foul smelling concoction she said would help it fight off infection and help with the pain. The pain never ended and the poultices smelled worse than an infection ever would, so Paul wasn’t sure it was helping. The next few days followed in that matter, with Tani bringing him light meals and water and changing his bandages while he was too weak and too in pain to rise. After two days he could manage to sit for a short time but it took nearly half a fortnight for him to stand on his own. During his stay in the room, little changed. A chicken wandered in once but Tani quickly chased it out. There were no rats to be seen but he’d spied a fat cat more than once lurking around. The feed bags were tended to by Tani, who dragged them out on a small splint that she looped around her shoulders. They spoke little. When they did, she spoke quietly and deferentially to him but always with an undercut of scorn. He tried to speak to her like he did with the servants at Hallow Hill. They were nice folk and I treated them well, why does she hate me so? 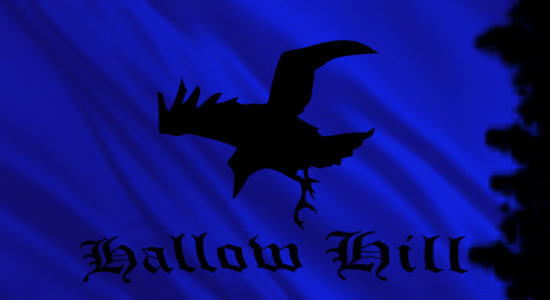 This entry was posted in Fantasy, Original Fiction and tagged blog fiction, Fantasy, Hallow Hill, Mike Kern, The Aranor Saga. Bookmark the permalink.